Made with Lavender and Chamomile. 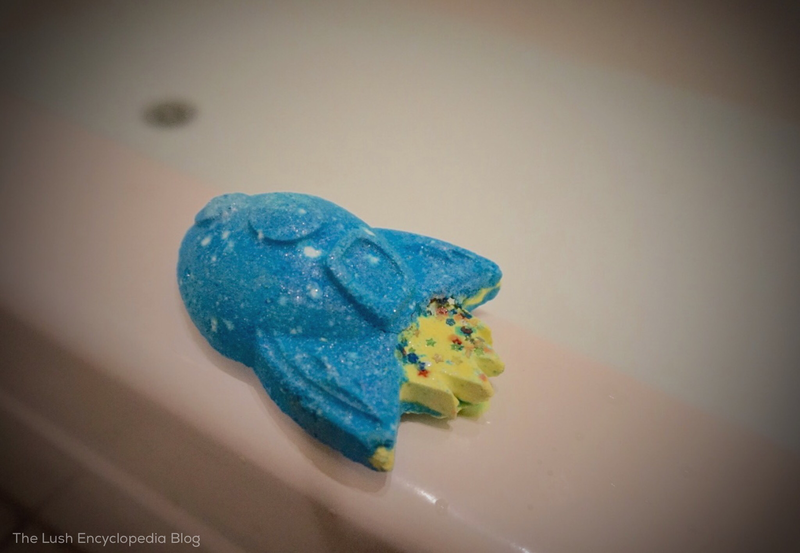 Smelling similar to Lush products ‘Peace’ massage bar, or a bit like Ickle Baby Bot bath bomb. I’ll post more as i get more info on the scent. This is a pretty, new snowflake shape for Christmas. A bright pink color and it has some blue inside as well. Its not a large bomb, its more on the medium/small size. The scents is a new one, as Lush states its made with lemon, buchu and currant. It smells brightly, fruity to me, but not in a citrus way, more in a berryish way. I thought this smelled somewhat familiar but couldn’t put my finger on it. But after asking lush i was told its a brand new scent. I used Cheery Christmas bath bomb in my bath along with the Lush blackberry and currant Scrub scrub scrub. I figured since yhey both have berries in them they would go nicely. I like the blue and pink combination of the bath bomb colors in the tub. The end result is a different shade of purple, almost a mauve color, with silver sparkle. 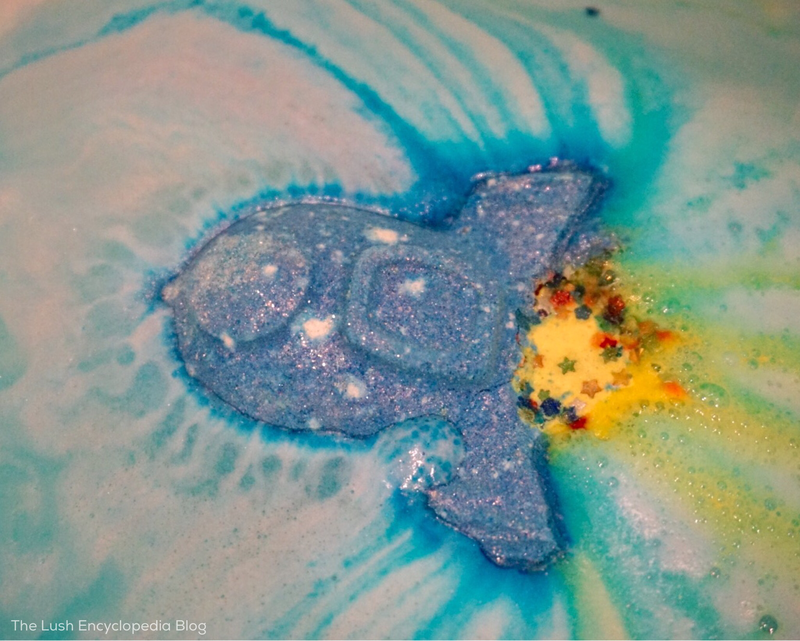 I bought two more Cheery Christmas bath bombs when i placed my secondLush Christmas order. Lush description: Outside, snowflakes fall to the ground, creating a picturesque postcard landscape, untouched and unspoilt. Against the back drop of a winter dream, Sicilian lemon oil refreshes and rejuvenates putting a smile on the face of all who bathe here. Pop this bundle of joy in the bath and allow the intricate pattern to take shape before your eyes. Lay back, feel relaxed and enjoy the festive season as blackcurrant-scented buchu oil spreads the cheer. 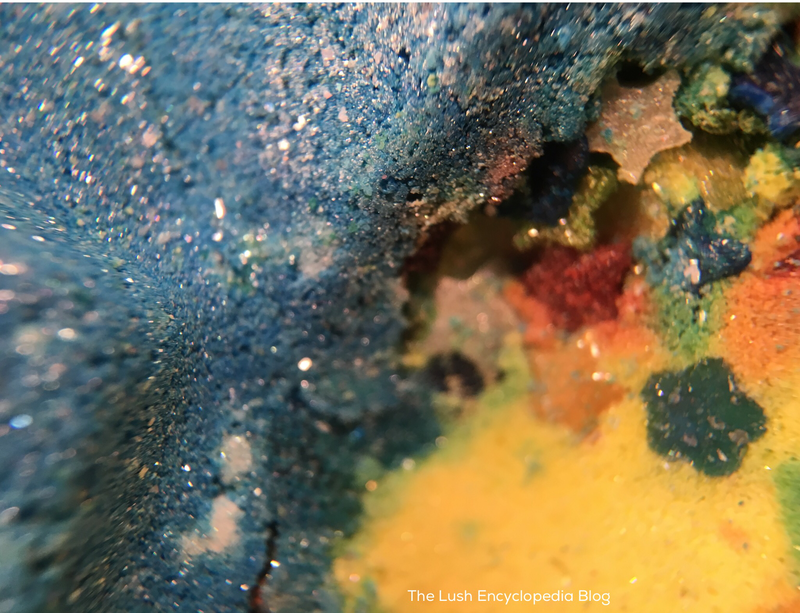 Heres a pic i took of a bath i took with two bath bombs, one of them being cheery christmas bomb. Here is my recorded tub demo video of Cheery Christmas in the water. See my demo video below. This has a bright, lemon citrus fragrance. 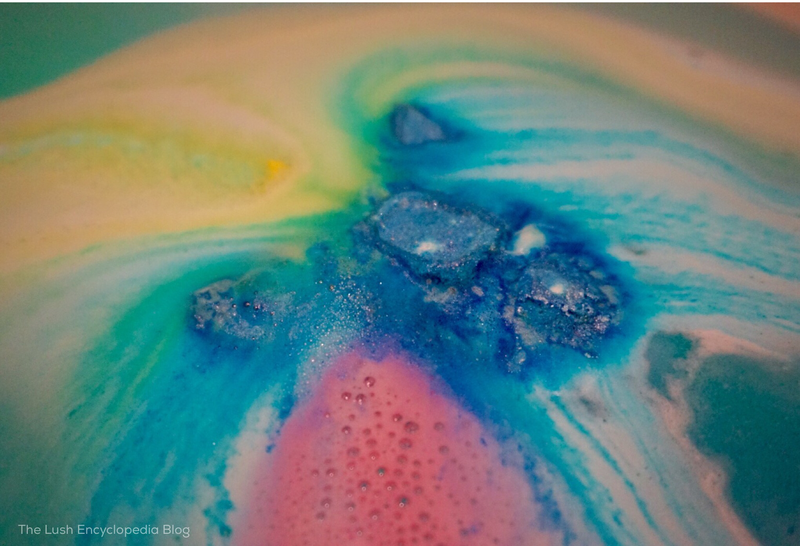 What a gorgeous bath bomb. The interesting thing is that this bomb makes various dimensions of things happening. If one were to look at the water one could see layers; multi colored stars on the very bottom. Then there is a multi-colored chunky glitter later above the stars. Then there’s a layer of silvery sparkes above that. Then there is the blue, pink and purple colored foam layer from the fizzing bomb. The smells is nice, but nothing earth shattering. But the looks of this bomb in the water makes up for it. I give this a 4.5 out of 5 rating.